The cute and mysterious cat-like creatures called Mitchiri Neko that seem to gather around each other if you leave them alone now get their own anime with a glorious voice cast! 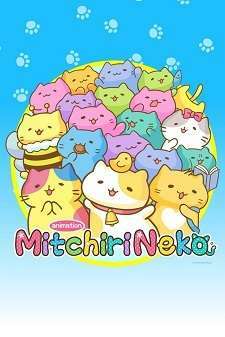 The free and happy-go- lucky Mitchiri Neko’s daily life is filled fluff and surreal laughs! Say it with me, "Mitchiri! Mitchiri!"